Patterns and templates are invaluable tools when seeking to model an object to a specific design. In woodworking, a thin metal plate is used as a guide, detailing the specific dimensions and cuts needed to form a new object into the likeness of a perfected model. The design process is similar in sewing. Patterns formed from tissue-like paper are laid over and pinned to fabric. By cutting and sewing according to the lines and darts outlined, a seamstress can create an article of clothing nearly identical to the pattern. When God created the heavens and the earth, He intended heaven to be the divine pattern to which everything on earth conformed. Yet when sin entered the world, man began to design his own templates for living. To this day, we tend to pattern our lives after what seems right and desirable to us. Sadly, our perspective is very limited. Lives modeled after man-made patterns never receive the joy and soul-peace God desires to give. They will never display His glory. What would it look like to submit to God’s divine pattern for our lives? We would seek to know God accurately and worship Him continuously. Speaking of heaven, Scripture says: “Day and night they never stop saying: ‘Holy, holy, holy is the Lord God Almighty’”(Revelation 4:8b). We would daily access the abundant provision available in heaven, for God has: “…blessed us in Christ with every spiritual (given by the Holy Spirit) blessing in the heavenly realm”(Ephesians 1:3). We would seek God’s will above our own: “Your kingdom come, Your will be done on earth as it is in heaven”(Matthew 6:10). One day, heaven will fully come to earth. God will bring all things together under the rulership of Christ. 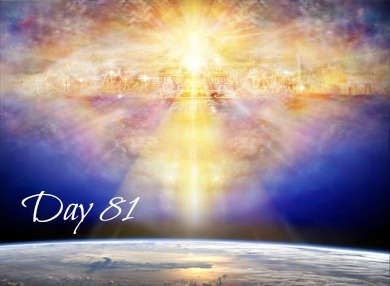 Today, heaven comes to earth as we conform our lives to the divine template of heaven. © 2019 A Community of Grace|ProPhoto Photographer Template by NetRivet, Inc.